Wide spreading and deciduous, this tree has a short trunk with branches that generally touch the ground. 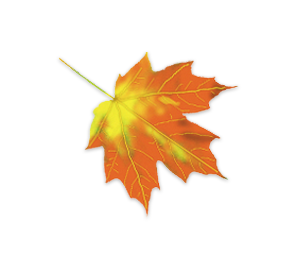 Leaf: Wide spreading and deciduous, this tree has a short trunk with branches that generally touch the ground. A small deciduous tree,the Flowering Dogwood is rounded to somewhat flat-topped with branches that approach horizontal. 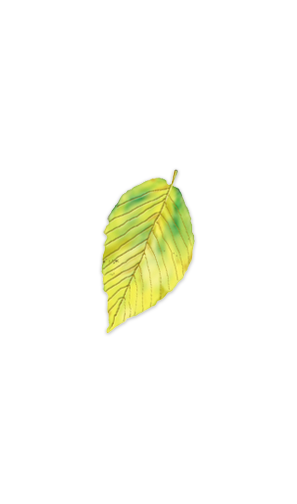 Leaf: Opposite, simple, oval to ovate. 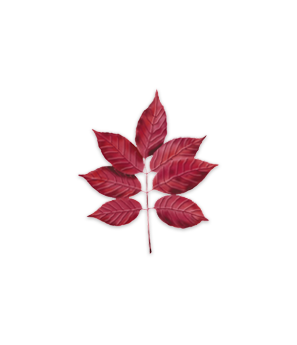 Fall color is red or reddish-purple. 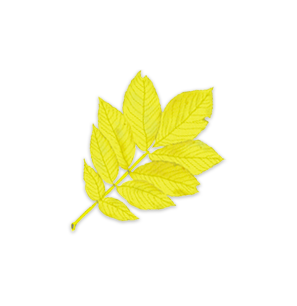 The Hornbeam is a multi-stemmed, deciduous large shrub or small tree. 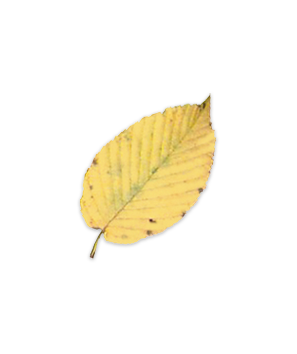 Leaf: Simple, alternate leaf arrangement. Fall color is yellow, orange and red. Easily identifiable is this largest of the black oak group; deciduous with upright spreading branches. Leaf: 7 to 11 bristle-tipped broad lobes. Fall color is russet-red, yellow and tan. This small tree grows at higher elevations, preferring moist areas along riverbanks or in damp woods. 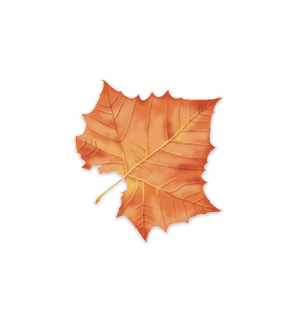 Leaf: Pinnately compound, alternately arranged. 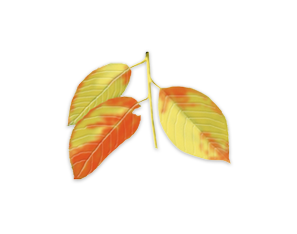 Fall color is yellow to orange to somewhat reddish. The continuous flutter of its flat, fan-like leaves, even in the gentlest breeze, is characteristic of this willow family member. 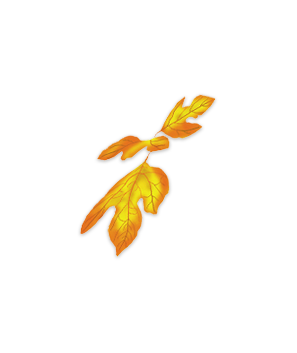 Leaf: Simple, alternate leaf arrangement. Fall color is yellow. 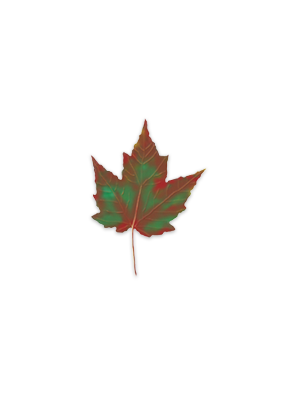 Leaf: Alternate, simple, 3 to 5 lobed margins. Fall color is yellow-orange. 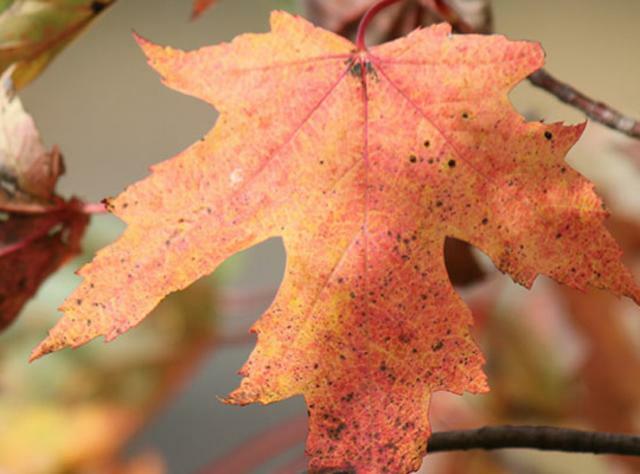 The Red Maple, a relatively fast-growing deciduous tree, becomes more spreading with age and is often one of the first trees to change color in autumn. 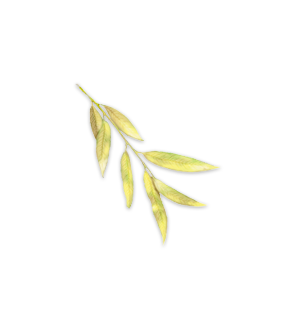 Leaf: Opposite, 3 or 5 lobed. 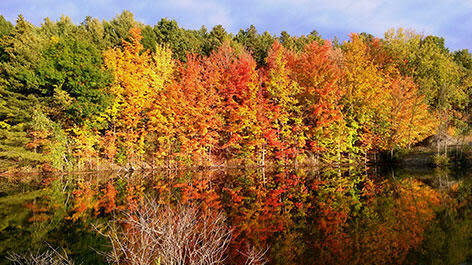 Fall color is greenish yellow, vibrant scarlet or burgundy. Growing to 100', the Bitternut's most outstanding features are its brown bark tinged with red and its yellow winter buds. A deciduous tree reaching 40 to 50 feet tall, the Sassafras may have three different types of leaves growing on a single branch. Leaf: Entire or shaped like mittens. Fall color is yellow, orange and red. The Black Cherry is a pyramidal to conical tree with pendulous branches. 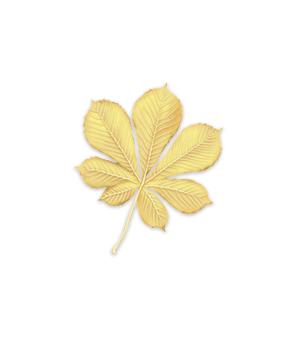 Leaf: Simple leaf. Fall color is yellow to red. A deciduous, medium shade tree, the Sweet Birch is a common forest tree. Leaf: Heart shaped, broad and ovate. Fall color is golden yellow. A large deciduous tree, the Black Walnut bears fruit which is prized by confectioners; its wood is sought after by furniture makers. 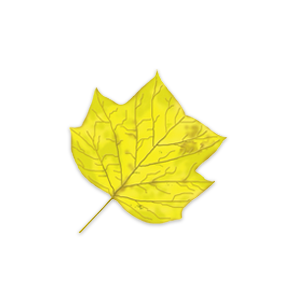 New York's official state tree is the Sugar Maple. In spring, it yields the sweetest sap for syrup and sugar, in summer, it's the perfect shade tree and in fall, it wears a heavy crown of yellow, orange and red leaves. The willow is very common in this hemisphere and found mostly along the banks of lakes and streams. 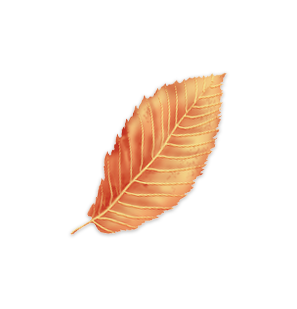 Leaf: Lanceolate, serrated, alternate, simple. Fall color is bronze. New York's Onondaga Indians called it "Ko-yen-ta-ka-ah-tas," "white tree" because of the creamy white grains in its bark. 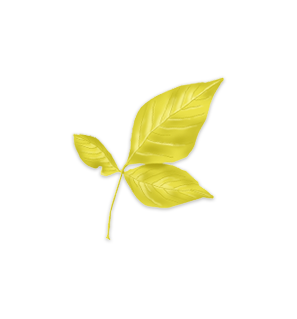 Leaf: Tulip shape, alternate, deciduous. Fall color is golden yellow, clear yellow. 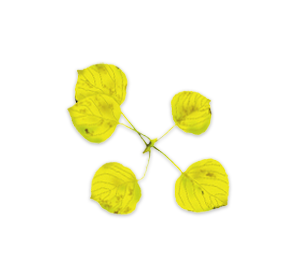 A small, deciduous tree with a dense, rounded crown, the Hoptree can also be a large shrub. 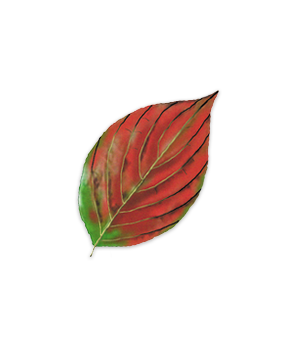 Leaf: Pinnately, compound. 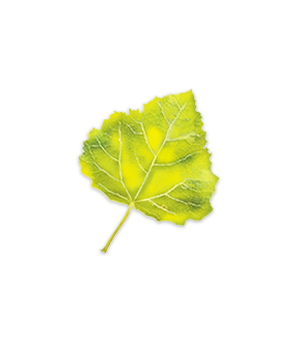 Fall color is yellow-green. A member of the olive family, the White Ash is one of America's leading commercial hardwoods. 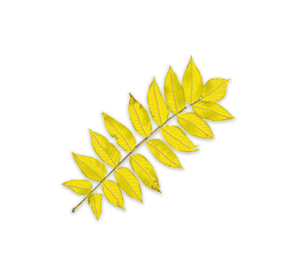 Leaf: Pinately compound, each leaf contains 5 to 9 leaflets. Fall color is yellowish, purple and burgundy overlay. Very similar to the Sweet Birch, the Yellow Birch can reach up to 100 feet in the wild. 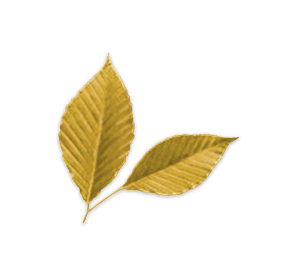 Leaf: Alternate, simple, elongated oval, doubly serrated. Fall color is yellow. A somewhat whitish-gray bark and broad spreading branches make this tree rather easy to identify at first glance. 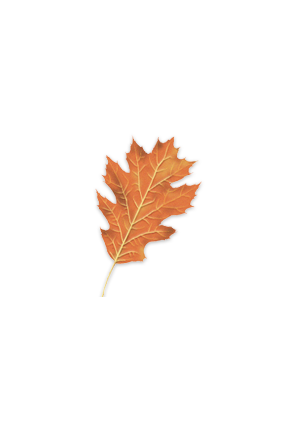 Leaf: Alternate, simple, lobed, deciduous. Fall color is yellow. The Common Horsechestnut is a large, deciduous, flowering tree commonly growing to between 50 and 75 feet. The tree trunk is usually divided, forming a V-shape, with a dense, symmetrical crown. 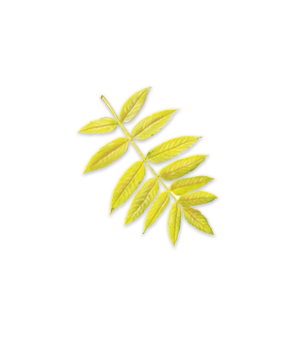 Leaf: Opposite, palmately-compound with 7 leaflets. Fall color is yellow or brown. Fill your travels with color. 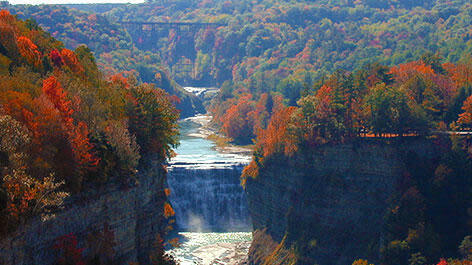 Get the latest updates on fall foliage all over New York State. From the foothills of the Catskill Mountains to the peaks of the Adirondacks, New York is home to one of the most vivid autumns anywhere in the world.